Come and experience art throughout the ages. In this art class you will learn about different artists’ drawings and paintings. Realism, Still Life, Impressionism, Abstract Art and more! Watercolors, crayons, pencils and pastels will be used. Mrs. Helen Sanchez-Zhu has a BFA from SUNY Buffalo and MS from Fordham. She has taught both Art and ESL for over 30 years. Mrs. Sanchez-Zhu recently retired from the public schools of the Tarrytown where she taught ENL and was assistant to the principal. Mrs. Sanchez-Zhu is a painter and has had shows in New York, Connecticut and in Spain. Her family is from Spain where she travels to every summer. 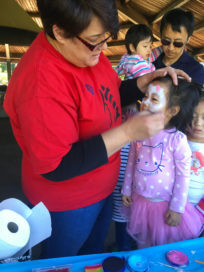 She holds art shows and also judges art shows for young children at local festivals. Mrs. Helen Sanchez-Zhu is well recognized as a creative artist and a passionate educator. A competitive badminton player, Mr. Zhu is a very experienced player and coach. Brush Painting & Calligraphy Sr./Jr. Mr. Fu studied Chinese Calligraphy and Painting in Taiwan, and has taught these courses to the Chinese community for over 30 years. Mr. Fu currently teaches Calligraphy at NYCS. A competitive chess player and an experienced teacher, Mr. Sun has taught the class for 5 years. The goal of this class is to nurture the love for dance in young children. Your children will learn through the fun-filled dances choreographed to promote body coordination, balance, strength, flexibility and sense of rhythm. Ms. Siduo Wang has been studying ballet for 4 years and received training on Flamenco and ballroom dances. She is excited to share her passion and skills for dance with your children. Dance Sr. class combines basic techniques of Chinese folk dance with those of contemporary dance. This distinct style, developed by Teacher Xia, allows the children to express themselves fully. A graduate of Beijing Dance College, Ms. Mei Xia was a performer, choreographer and teacher with more than 15 years of professional experience. Her students received numerous awards including first prize in dance competitions at both national and local levels. 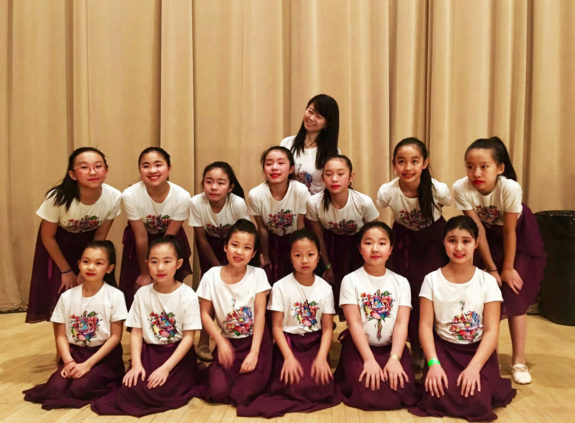 Ms. Xia has been teaching dance at HXNYC since 2012. Her dance “Happy China Year” has been performed at many venues in the community. Robert W. Gordon, Esq., is the instructor for the Debate and Public Speaking class. He is a trial attorney for the City of New York. He holds a B.A. Degree in Philosophy from Morehouse College, and a Juris Doctor (law degree) from NYU School of Law. He practiced as a litigation attorney for over 10 years. Prior to becoming a lawyer, he taught kindergarten, elementary grades, and High School World History in the Westchester County public schools. He also lectured law at the University of Ulsan for one year in South Korea. In addition to his attorney responsibilities, he tutors and coaches high school students in debate and philosophy as well as adults in public speaking. He has also given lessons to Korean, Japanese, and Chinese adults in English as a second language. In this class, Mr. Gordon will introduce the process of preparing for a debate, the purposes of debate, and various techniques to use to win debates. Skills introduced will include, forming arguments, research, organizing points for impact, attacking arguments, preparing for rebuttal arguments, and using authority and support for content. The public speaking portion of the class will focus on external presentation skills. Issues such as body language, volume, eye contact, hand gestures, verbal pauses, rhythm, pacing, dynamics, pronunciation, and pitch will be introduced and explained as needed. The goal is to have students comfortable in engaging in debate, do so effectively, and know that there are always at least two sides of an issue that should be explored. Both of these classes focus on giving students fluency in reading written forms of music and learning to participate in an ensemble. Introduction to Guitar is for students aged 9 and older. The class will cover all aspects of technique necessary to begin mastering the instrument. Introduction to Percussion is for students between the ages of 6 and 8 eager to learn about rhythms and drumming. Robert Renino (Bass, Bass Guitar, Piano, Saxophone, Clarinet) is a freelance bassist and music teacher who has lived and worked in the NYC metro area for the past 25 years. He studied with jazz bassist Richard Davis, and also attended and graduated the Juilliard School of Music. After playing at resorts, hotels, and clubs, he began playing Broadway shows both as a substitute and a regular player. Bob has played in nearly fifty musicals in Broadway theatres and has held the “chair” in some hits such as “Ragtime”, “The Producers”, and the latest being “Honeymoon in Vegas”. He also performs with the New York Pops Orchestra, and the Hudson Valley Philharmonic. He has done much performing and recording work in NYC with many vocalists, and has also played on popular TV shows like “Good Morning America,” “Regis and Kelly” and “David Letterman.” He is currently married to singer/actress Sally Mayes and lives and teaches in Westchester County, NY. The students will learn how to program java AWT by designing buttons and text inside a window frame created by students. This course follows the learning by doing principle. It encourages students to practice java programming under some guidance but mostly through self-learning and practice of google-searching java online examples. Mr. Duanhua Tu was a Ph.D. candidate in Computer Science at University of South Florida (1998-2000). He received Master Degree in Economics from Johns Hopkins University in 1990. He is a professional computer software engineer and architect and has more than 20 years of experience in computer software design and development. Mr. Tu worked for big IT companies such as IBM and Oracle and big bank such as JP Morgan & Chase in his career. Through the exploration of higher level math, students will learn the art of competition math. Students will study how to cope with an extremely time restricted environment, how to deal with problems they may have never encountered before, and most importantly the class will review each common mathematical topic in detail. Subjects covered in this course will contain common subjects from the MathCounts Competition and the AMC 8. The class is designed to challenge middle school Grs. 6-8 students to develop strong math skills. Students who take this course will be encouraged to register with their home school to compete either as individuals or as part of their school’s’ team in the MathCounts team as well as AMC 8. Topics covered in the course include algebra, counting, probability, number theory and geometry. “Quincy Egginton is a talented artist and highly skilled instructor. Each child is allowed the freedom to create rather than model. She has the ability to simplify some of the complexities of the process and thereby open up a broad channel to success.” These are the words Quincy’s principal used to describe her teaching at Increase Miller Elementary School in the Katonah-Lewisboro School District where she taught for 9 years. Other teachers shared appreciation for her desire and ability to integrate her teaching of art with the grade level curricula. Quincy is passionate about teaching art to all students and has enjoyed teaching at all levels. As a child Quincy lived for three years in Japan and was immersed in the culture with her parents support. These years influenced her art and style of living. She has a deep appreciation for Asian culture. She welcomes the opportunity to teach Drawing and Painting at HXNYC. The planned curriculum will focus on drawing and painting techniques and will use Chinese symbols and traditions as models. Quincy Egginton earned her BFA at the Syracuse School of Visual and Performing Arts with a major in Illustration. After graduating she worked as an Art Director in advertising and then in magazine production. She earned her way through graduate school by doing free-lance graphic design and illustration. Quincy attended the Columbia University School of Art before enrolling at Teachers College, Columbia University where she earned a Master’s in Education and then a Doctorate in Art Education specializing in Drawing, Painting and Printmaking. As a Teaching Assistant in the Printmaking studio she earned recognition as Master Printer. Upon graduation Quincy secured her first full-time teaching position in art at Mercy College was her first full time position teaching art where she rose to the rank of Associate Professor. She has been an adjunct at College of New Rochelle for many years and has continued to serve in various capacities including covering for the graduate professor in Art Education who was out on sabbatical. Quincy has also taught at WCC. Currently, Quincy teaches art through Continuing Education for adults in: Chappaqua, Larchmont, Scarsdale and WCC. 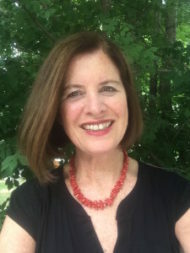 She also teaches children art through numerous libraries and The Katonah Art Center. Mrs. Guest has been teaching Scrabble to young players since 2005, and she is currently teaching at four different libraries and schools (in addition to teaching private lessons). She is a director of the North American Scrabble Players Association and has directed over 100 Scrabble tournaments for all ages—including five New England School Scrabble Championships and a division of last year’s National Scrabble Championship. She plays regularly in Scrabble tournaments and run two evening Scrabble Clubs. She also publishes a monthly newsletter for Scrabble players, The Last Word (www.TheLastWordNewsletter.com). She is the mother of triplets, all of whom enjoy Scrabble (her daughter and her teammate were the 2007 National School Scrabble Champions). Once the students become familiar with the game, Ms. Guest can arrange tournaments at the school and bring interested students to open competitions. She has taken many teams to Nationals, and she has the strongest record of top-ten finishes of any coach in the country (including two first-place finishes). Among the students she has started out is the current #1 Youth Player in the world, who became the youngest expert in Scrabble history at the age of 11.Ms. Guest enjoys teaching Scrabble to children and believes that our students would find the program stimulating. Whether they choose to play Scrabble for pleasure or hope to go to the Nationals, they will definitely gain a strong dexterity with language. Parents too will enjoy this game which can be played by all ages. for 6 years before she quit her job to become a full-time mom for her 4 boys. She has been teaching children Scratch at Chinese School for 3 years. She implemented the classic games in Scratch such as Pacman, Connect 4, Tetris, Snake, Dig Dug, Color Switch, 2048, T-Rex Runner, Arkanoid, Frogger, Space Invaders, Minesweeper, and more. Through these games, children learn not only basic programming skills, but also advanced concepts such as clones, lists, strings, scope of variables, your own blocks, nested loop, and recursion. Scratch is a wildly popular educational programming language used by millions of first-time learners in classrooms, libraries, and homes worldwide. In this class, young students will learn programming fundamentals as they make their very own video games. By dragging together colorful blocks of code, kids quickly learn computer programming concepts and make cool games and animations. They’ll create projects inspired by classic arcade games that can be programmed (and played!). In this course, we will explain model drawing in a way that is easy and useful to children. Models can be drawn in many ways. Detailed step-by-step workings are provided in the worked solutions to show how the word problems can be solved in various ways. Topics include numbers, length, mass, money and volume. We will adjust the difficulty and pace depending on the children’s level in the class. The objective of this course is to inspire the children’s interests in math at early age. The children learn to read a problem, access the known and unknown, draw a model to represent the problem, and in the process, simplify the problem to see a solution. Tae Kwon Do is a disciplined regimen of martial arts training which brings together the student and the instructor in an atmosphere of mutual respect. We help our students achieve a high sense of self confidence, mental preparedness and physical fitness. The class aims to develop a sense of self-worth and a “can-do” attitude in the student through training body, mind and spirit. An active tennis player with over 30 years of experience as a USTA league player, Coach Chu is currently a tennis summer program coordinator at the renowned Chestnut Ridge Racquet Club. He has over 10 years of extensive coaching experience. He played on the 2015 Eastern Region Championship team of Chestnut Ridge. He also won 3 consecutive singles trophies at the Reader Digest Association Tennis League in the early 2000s. 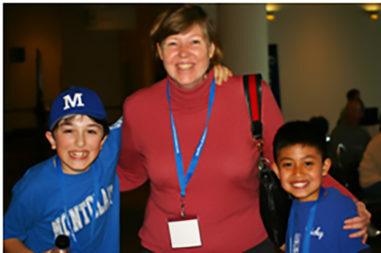 Coach Chu is experienced in coaching both children and adults. Do you love nature & animals? Do you want to boost your confidence and have positive self-image? Do you want to find ways to release stress and cultivate your focus? If your answer is yes, then “Yoga for Kids” is right for you! While you are practicing poses like cats, dogs, monkeys, eagles, trees, bridges, you strengthen your bodies and calm your minds. While you are dancing with your breaths, you cultivate awareness of mind and body connection. While you stay present and focused in challenging poses, you learn that how you handle the challenge on the mat is how you handle the challenges off the mat. Ms. Xuemei Xie has been practicing yoga for over ten years, and has been leading Yoga Club for Parents for several years. She is excited to share her yoga experience with younger members of HXNYC community. A Broadway like dance is in need of your participation to come to life on stage! You don’t need to have previous experience or training. What you need is devotion, love and enthusiasm. The dance is choreographed by Stella but won’t be complete without your help. Join the team and you won’t regret it! As an experienced dance teacher, Stella Zhang has taught dance classes at HXNYC for four years. Prior to that, she taught at another Chinese school for three years. Stella was trained to be a folk dancer at age six. During her years of training, she was the lead dancer, performing on TV and various festivals. Stella loves to dance and wants to pass her love of this art to you. Do you dream about dancing passionately to pop music you love? Do you want to learn how to move every part of your body to express yourself? Here is the dance class for you. It will relax your body and mind. It is entertaining and will make you feel young and energetic. It lets you show YOUR INDIVIDUALITY AND STYLE. You will be able to free style hip hop dance by the end of the year. A fervent hip hop dance lover, Stella fell in love with pop music and hip hop back when she was a teen. In the past, Stella had been trained as a folk dancer. Now she takes dancehall, hip hop, and popping classes in NYC. She wishes to bring this same excitement and energy to her own classroom.